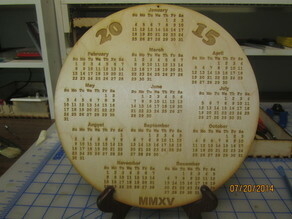 2017 Lasered Calendars. 4" Cubes. 10" Disc. Dollar Bill Holder/Box. Lasered Wood. Can hold up to $5000. 2016 Laser Calendars. Photos show 2015. Files are for 2016. Large Wall Clock. 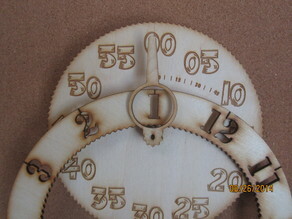 20 inches Lasered Wood. 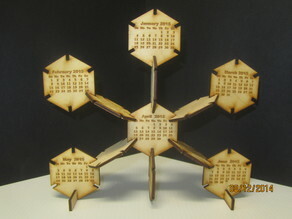 All laser cut Mendelmax wood Assembly Hardware. 5mm birch plywood for model 1.5. 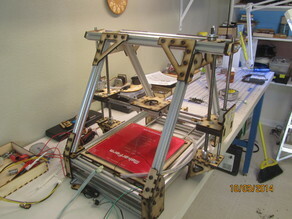 Additional design features for easy lasering and added structural strength. Name Badge. 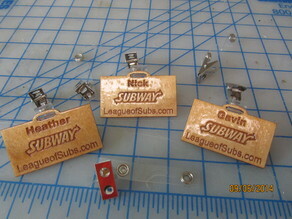 Easy to make, inexpensive, laser engraved and cut wood badge. 2015 Hex Calendar. Laser Cut, Wood. Configurable.